Driving abroad can be a liberating yet convenient way to see large amounts of a country in a short time. According to the Telegraph, over 11.5 million adults in the UK have travelled by car overseas, so it is a popular way of traversing foreign roads and soaking in the culture. That is unless you get home and find yourself with a motoring fine. With the high number of motorists abroad and the improved efficiency of overseas communication, traffic violations are a real concern, so it’s crucial that you make sure you understand the rules of the road in the country you’re driving in. Driving fines are a big issue and one that many countries, particularly in the EU, are keen to tackle. According to Thisismoney.co.uk, around 500,000 British drivers evade potential fines every year in France alone, and whilst non-residents make up 5% of drivers in France, they commit 15% of speeding offences. Interested in driving in France? Check out our guide here. One area of confusion is the varying methods and timescales for receiving fines. Sometimes authorities abroad will issue fines before you leave the country, whereas other times you may not receive a fee until you have returned home. The amount of time a country has to fine you for an offence can vary. 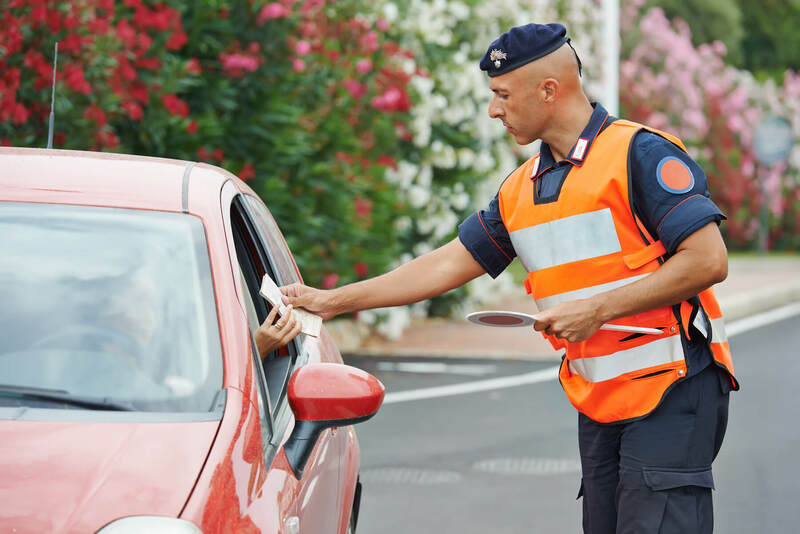 For example, in Italy the authorities have up to 360 days to issue a fine after they’ve obtained a driver’s details, whilst in Germany it is only three months. It is even easier for countries to get your details if you use a hire car on your travels. When you sign the release documents for rental cars, there will often be a clause in the contract that allows them to give your details to authorities if it is required. Not only this, but the AA advise that they may even charge you an administration fee to do this. Once you have received a fine you usually have 60 days to pay. If this is not paid it can lead to increased fines and further action. As you would expect, appeal is an option, and you should be given enough time to form a defence case if it is needed. However, according to the AA, they will “generally have to be made in the local language of the country where the alleged offence occurred”. The AA recommend “paying a fine, as long as you believe you could have committed the offence”. This also avoids accruing additional increased fines due to missing the payment date, and evading international fees can lead to difficulties in the future if you return to the country in which you received the fine. The best way to stay safe from fines when you are on holiday is to drive safely, avoiding excessive speed and being cautious of differing traffic laws depending on the country you’re visiting. Find out more tips on safe driving in a different country in our guide to driving abroad. You should also make sure that you’re properly insured for driving in a foreign country. Click here to find out if you are insured to travel abroad under your insurethebox telematics policy.